Wash and slice zucchini squash in think slices. Saute onion, garlic, and green chile in oil. Add zucchini, and cook and stir over low heat about 5 minutes. Add corn and milk, and simmer another 5 minutes. Add grated cheese, and cook about 10 minutes. Add salt and pepper. Serves 4. 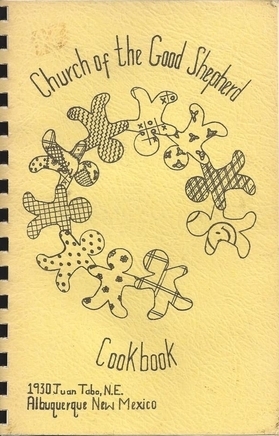 More "Lost" Recipes from "Church of the Good Shepherd Cookbook"